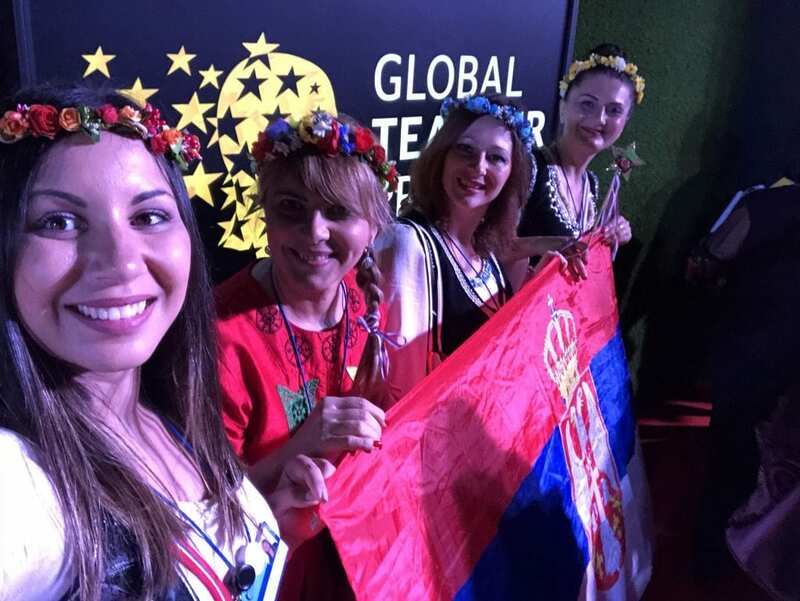 For the first time this year, the Association "Živojin Mišić" had one of its ambassadors at the largest world forum "Global Teacher Prize", held in the United Arab Emirates. 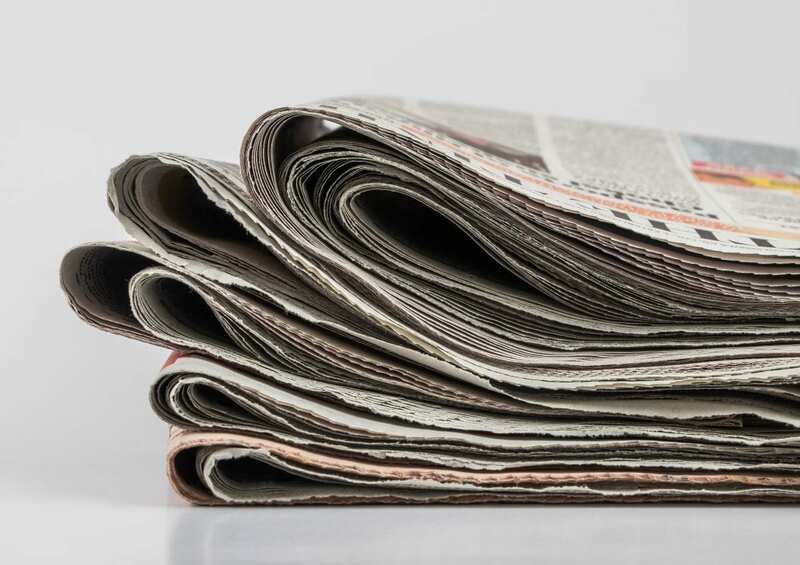 In March, last week, at this competition, Serbia was a country that could proudly show that have its national representative in the competition - the Association for the Promotion of Entrepreneurship, Živojin Mišić. Leaders from the private, public and social sectors gathered for the sixth consecutive year to work together to find solutions to the problem of raising education to a higher level, as well as the problem of equality and employment for all. The Varkey Foundation initiative, which organizes the Global Teacher Prize Competition, the Global Education & Skills Forum is actually a platform for cooperation and problem solving, moving from "How It Should be" to innovative solutions "How We Come There Together". 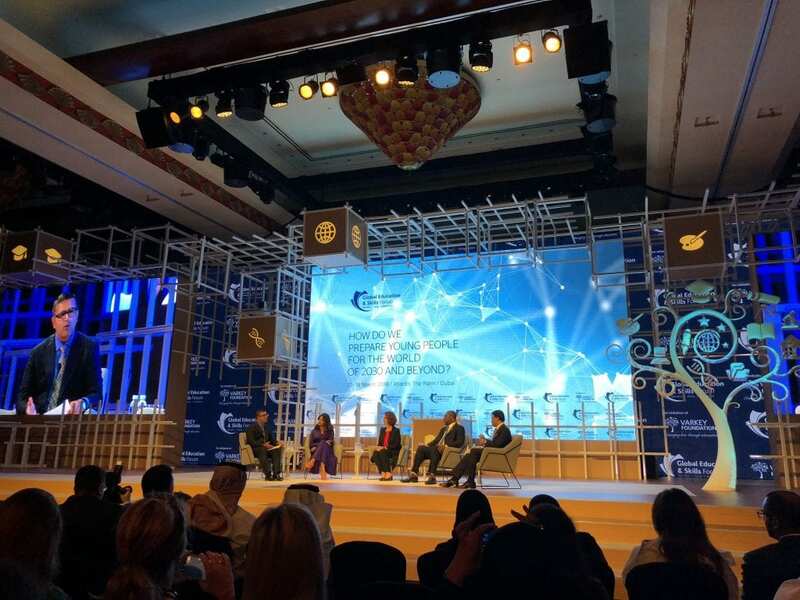 In this regard, the Global Education & Skills Forum gathered over 2000 professionals from the world of education who worked on system design and preparations for 2030 when all of us expect great changes in the way of thinking and how to teach children. Why is this Forum special for Serbia? The Global Education & Skills Forum and all the way to the United Arab Emirates has brought much good to Serbia when it comes to the education sector. One of the most important events is that the Varkey Foundation got an official partner in our country - the Association for Entrepreneurship Promotion Živojin Mišić, whose task is to organize and conduct the election for the national winner in Serbia from now on and help find the best teacher in the world. Another important event is the proclamation of Željana Radojičić Lukić, a teacher from Banja Vrujci, for one of the 50 best educators in the world. In addition to being one of the Best Educators of Serbia, she has now entered history as the first representative of our country in this competition, which is believed to be in the ranking of the Nobel Prize competition in the teaching profession. Consequently, she became one of the Varkey Foundation ambassadors. 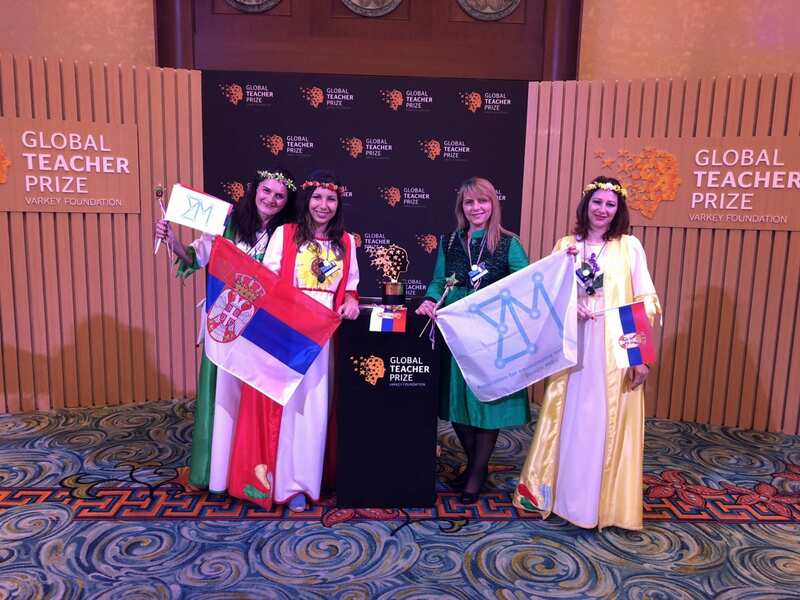 "The delegation is really pleased with both our hosts and the atmosphere in this world educational forum, and I am very happy to represent Serbia here in Dubai. My dear teachers, together we will fight to improve Serbian education in the upcoming period and continue to promote Serbia in the best possible way in the world", says Željana. How did the competition run and what kind of workshops were prepared by the organizers? For the first two days of the stay in Dubai, the Serbian delegation had the opportunity to attend the Varkey Teacher Ambassadors workshops aimed at networking, linking and presenting projects around the world. The idea was to find a solution to how best to prepare children for the future and the 2030s reforms. The second two days of the Forum held in Atlantis, our delegation attended numerous workshops where some of the most prominent people in their areas spoke, of which the most important for Serbia was the National Teacher Partners Workshop. This workshop exchanged experiences, successes and challenges that national partners meet in conducting these elections in their countries. The goal was to improve national elections, and this is the place where our delegation learned the most. The association Živojin Mišić exchanged experiences with representatives of Chile, Palestine, Ukraine, America, Sierra Leone and other partner countries of the Varkey Foundation. What is rated as the highest value of the Forum is that it has given us the opportunity of networking, and that we are now all in the same team that is struggling for a better future. 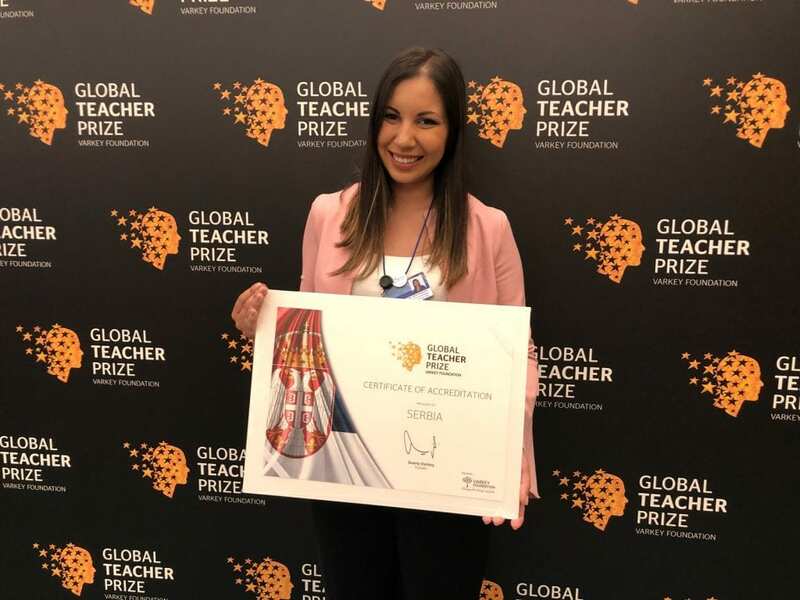 The act of ceremonial awards and gala dinners was held on the fourth day where the representative of England - Andria Zafirakou received the Global Teacher Prize Award. The prize was personally handed over to Sheikh Mohammed bin Rashid Al Maktoum, Deputy President and Minister of the United Arab Emirates. We congratulate her with all her heart and we hope she will continue with the brilliant work she has shown so far, like all the other Varkey ambassadors. Special congratulations for our representative Željana Radojičić Lukić, who together with the Association Živojin Mišić promoted Serbia in the best possible way. And let's not forget that "every child deserves exceptional teachers, because teachers are important!"